Anyways, let's proceed to the card. 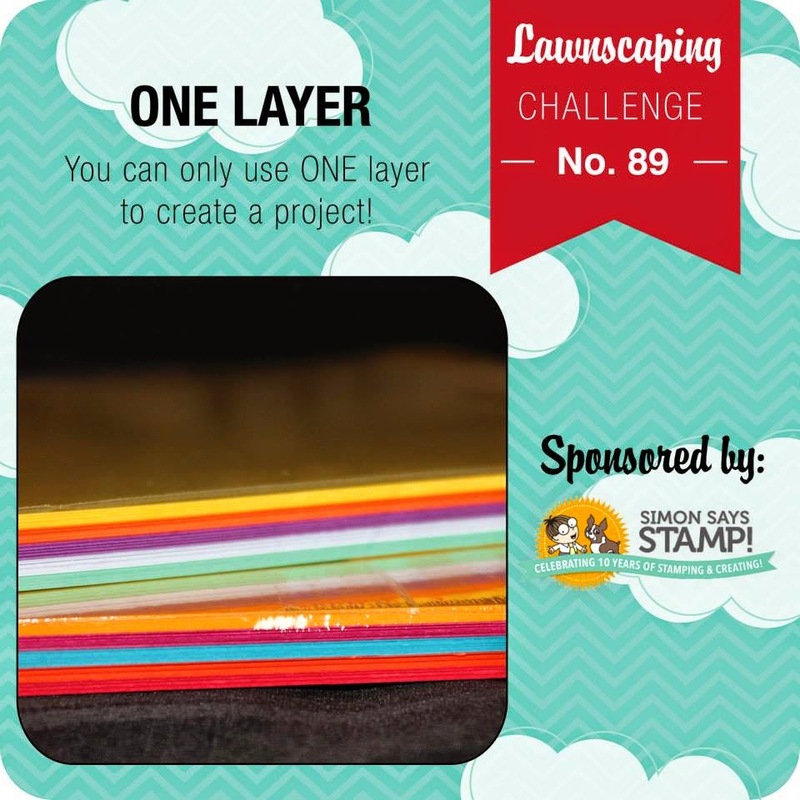 This week, we are challenges to make a One Layer card. I love one layers but I don't seem to do them quite often so I'm really excited to make this. There's whole lot of masking involved. For this card, I simply played with colours by stamping and masking the balloons. You can easily do this with any solid image that you have in your stash. The images are from the Beep Boop Birthday collection and sentiment is from the Winter Gifts collection by Lawn Fawn. Hope you're inspired to join this challenge. Click the banner below to join the challenge and check out the rest of the cards by my teammates over at the Lawnscaping Facebook page. This challenge is sponsored by the awesome Simon Says Stamp!